Hyundai Motor India Ltd, India’s second largest passenger car manufacturer and the number one exporter since inception initiated ‘Experience Hyundai’ campaign across 418 rural locations in India. The campaign aims to generate high engagement with customers during the festive season through a Pan-India road show. 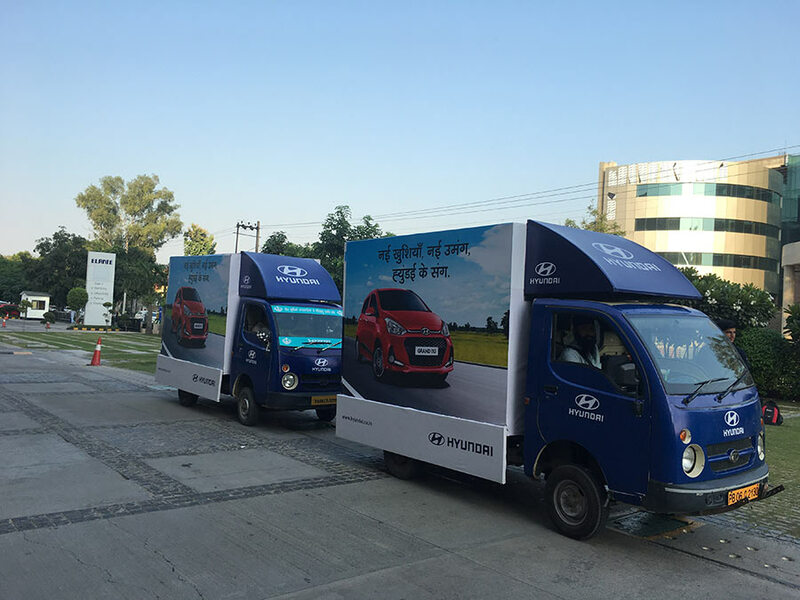 ‘Experience Hyundai’ campaign is organized to enhance customer connect in the rural markets with a Caravan of Hyundai cars in the smaller towns and villages. The objective of the campaign is to reach out to the customers in these markets directly to create an interface with products and offer them the best benefits.The teams will visit residential colonies, markets, banks, schools and colleges, post offices and other commercial complexes over the next three months and showcase the range of world-class Hyundai cars. Rural market is a key driver in Hyundai’s growth strategy in India as these markets are growing fast with the economy. Our continued focus through initiatives such as ‘Experience Hyundai’ campaign has made Hyundai a preferred brand in the growing rural market. We are confident of establishing a strong brand presence for Hyundai offering unparalleled value through global technology and feature-rich cars to the customers in the rural market. During the Experience Hyundai campaign, the customers will be offered with test drives, festive schemes, attractive finance and exchange offers along-side various interactive games, quiz, assured gifts and lucky draws.